This is an old Redbreast bottle that most likely dates from the early 1990s. It bears the description 'Pure Pot Still' which was changed on Redbreast to 'Single Pot Still' in 2010. 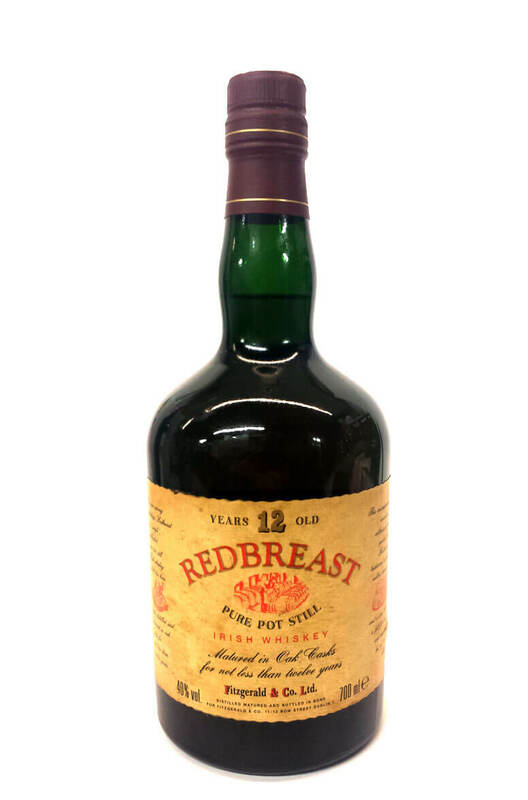 This bottle also bears the old distributor's name of Fitzgerald & Co who looked after the Redbreast brand from around 1990 to the early 2000s. The bottle is in very good condition, the label is also in very good condition and the fill level is well into the neck. Types of Barrel used for Aging A mix of Sherry and Bourbon barrels.